Welcome to our first episode in 2019. As we say in France plein de bonheur et surtout santé -happiness and health. Above all health as this is the most important as someone in a nearby commerce said to me today without that we have nothing. In this episode I take a moment to reflect on 2018 and why I believe it is important. A quick thought to New Years Resolutions – A Word – or Nothing It’s your choice . We chat why organising your house is good for the home and the mind. 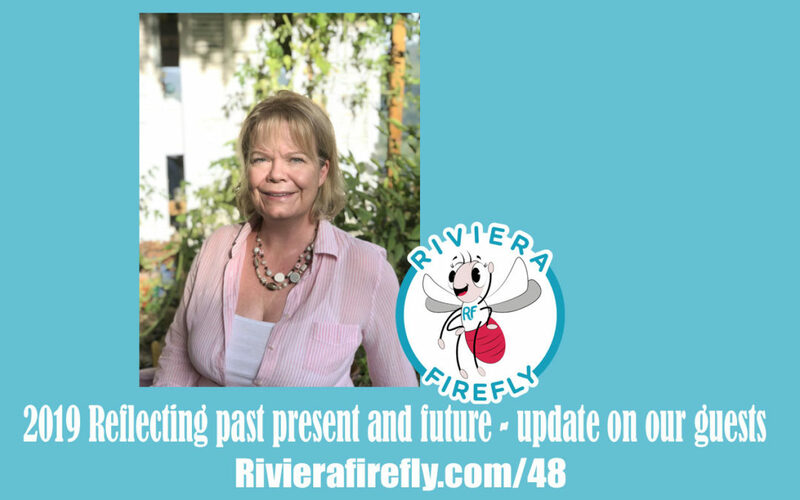 Thanks to Rachael Dickens the English Osteopath (Episode 18) and Susanne Formant, Pippa Gomis-Maile and Nice Homes for their input into the first edition. I chat about the Christmas Fair and how many amazing people collaborated and input into making that event a success. We raised a lot of money for charity (French Riviera Animals, Cancer Research UK and Mimosa) so this was a great end to the year. Thanks for listening anf being part of this journey in 2018 and here’s to 2019. Thanks for listening – that’s a wrap.